Fancy an afternoon of the fine art of Cocktail Mixology, the ultimate hen partyI love cocktails and never take the time to learn and this is the perfect excuse, plus the class is privatewith your own mixologist. The Itsy Tipsy class that entails drinking and creating yummy cocktails. 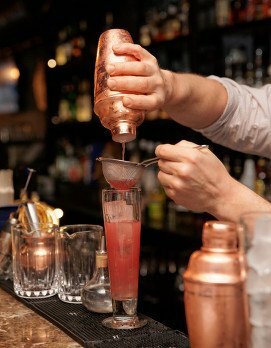 Learn how to make the perfect cocktail with alcohol or not, your choice and learn a little history, basically a fantastic skill for life and you get to indulge in your fabulous creations.